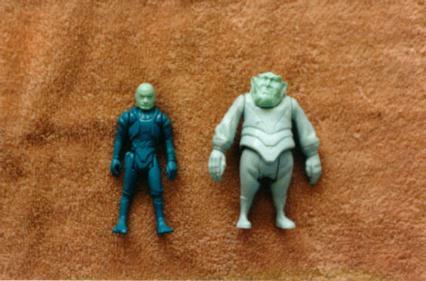 These are two unpainted first shots from Droids cartoon series. They are Tig and Sise Fromm, that son and father team of crime. The figures have no copyright markings.